A powerful and unique musical voice from Brussels, Belgium, goldFFinch have launched themselves swiftly to the forefront of their chosen electronic music style with a series of unmissable dancefloor weapons on labels like Jackmasters 'Numbers', Claude Von Strokes 'Dirty Bird', 'Saigon', 'Airflex Labs' and 'Audio Culture'. A duo from Brussells, Belgium, the first ever goldFFinch recordings gained immediate support from scene luminaries like Boddika, Loefah, Jackmaster, and most notably Mary Anne Hobbs who invited them to provide and exclusive mix for her world renowned innovative underground electronic radio show on XFM and called them "one of my favourite musical producer collectives of 2011". 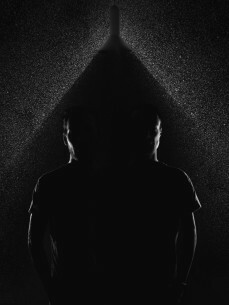 Yoann and Gilles, the duo behind goldFFinch, have let themselves be inspired by current movements in the electronic music and have worked hard to redefine it in their own unique way. One of their trademarks is stuttering vocal samples worked indecipherably into their own funky rhythm and intertwined within the groove of their tracks, a skill built from their formative years listening to Hip Hop. With this vocal technique as a distinct signature laid on their tracks, the core of their music brings together the best of the German Electronic sound, the funkiest of the first Detroit Techno wave and the cutting edge music production of the 22nd century together in one funk fueled musical style. With continuous support of their recordings from names like Loefah, Boddika, Claude Von Stroke, Oneman, Jackmaster, 2562, Midland Sound and Mary Anne Hobbs, and their subsequent releases on high profile labels like Numbers, Dirty Bird, and Saigon, goldFFinch are rapidly gaining popularity and credibility with a constantly widening audience. Reviews for all their releases have been incredibly positive across the board, immediately propelling them into the upper echelon of producers using the House and Techno templates to create a new sound that marries the best of these genres together into a genuinely new sound. When performing, they combine Detroit Techno, Chicago Classics, and recent mixtures of Techno, Bass Music and house.